SEGOU, Mali, May 25 2012 (IPS) - Her neat, bright yellow headscarf matches the rest of her outfit, but contrasts with her weary expression. Sokona Soumounou sits a little apart from the crowd queueing for assistance from the World Food Programme in the southern Mali town of Ségou. “I’m staying with my younger brother here, with four children whose parents are elsewhere,” she told IPS. This week was the first time there was assistance of any kind for Soumounou or any of the roughly 3,600 people who have fled conflict in the north of the country to find refuge in Ségou. Bakary Diarra, a teacher from Andéraboukane, in the north, says he has lost everything. “I came to Ségou without a penny. The rebels carried off all of our possessions, even my cellphone and my wife’s clothing,” he told IPS. Tuareg rebels launched an uprising in northern Mali in January which the government struggled to contain. Malian president Amadou Toumani Touré was toppled by a coup on Mar. 22, and in the period of uncertainty immediately following, the Tuareg rebels, alongside various Islamist groups, took complete control of the northern part of the country. “There are many teachers in financial difficulty now, after fleeing rebel-controlled areas. We’re not getting our salaries regularly, at least not the people I know, who’ve fled the (northern) Gao region,” he said. Several initiatives to support internally displaced people from the north have now been implemented. On May 20, the World Food Programme launched an operation to distribute basic foodstuffs in this region of the country. In Ségou, WFP distributed 18 tonnes of supplies to families who have taken in IDPs. But the challenges extend far beyond the Ségou region, says local journalist Ibrahim Klepy. “Many of those displaced by the conflict have found shelter in other parts of the south,” he told IPS. 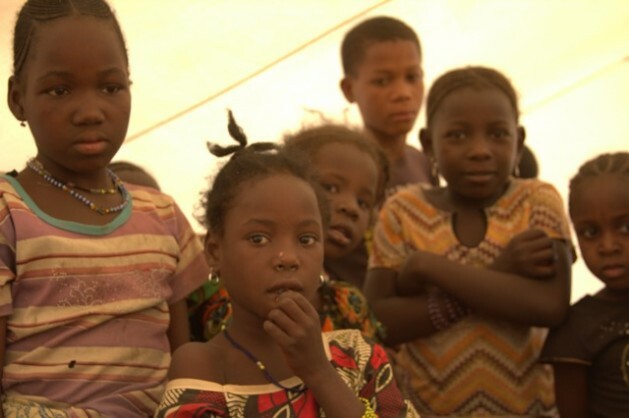 According to medical charity Médecins Sans Frontières (MSF), nearly 320,000 people have fled the conflict in the north since January, with 160,000 now in refugee camps in neighbouring Burkina Faso, Niger and Mauritania. The slow pace of mobilising and delivering aid has provoked criticism. “MSF calls on the United Nations High Commissioner for Refugees and the World Food Programme to increase and speed up the distribution of aid in Burkina Faso, Mauritania, and Niger before the rainy season makes aid distribution even more difficult,” said MSF operations director Malik Allaouna in a statement on the charity’s website. In Mali, aid workers say a humanitarian corridor is needed to speed up delivery of assistance to the north. “The armed groups need to accept the delivery of aid through a secure corridor so we can reach these people,” said WFP’s Mawa. There has been some success on this front in recent weeks, as United Nations humanitarian agencies and Malian civil society organisations collect donations for people displaced by the conflict. Other donations and medical support have been organised by a collective set up by a group of young people, mostly with roots in northern Mali. They have named their volunteer effort “Cri de Coeur Pour le Nord” – distress call for the north. Cri de Coeur member Al Mahdi Cissé told IPS the crisis in the north has struck an already-vulnerable population. “Already hit by two years of food shortages, people in the north are suffering a both physical and moral trauma, facing the worst deprivation: of water, medicine, electricity, and even basic food supplies. These people are on the very edge, and every hour that passes only pushes them closer to it,” he said. The collective’s online manifesto argues that efforts to re-establish constitutional order must be accompanied by an equally urgent humanitarian action plan for hundreds of thousands of people in distress.